this needed a much wider grill and smaller headlights. boring BMW as usual but still very attractive in the flesh i'm sure. Not terrible, but very dated and boring looking. "Are you sure this is the new one?" is what customers on the lot will say. It looks kind of like a giant X3 now that I think about it. Indeed. 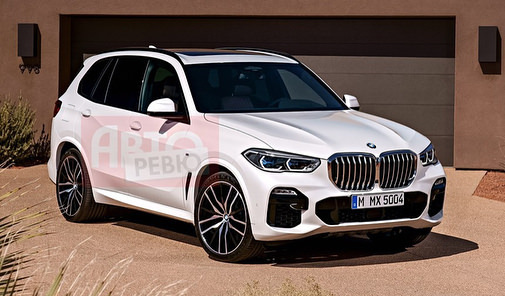 teh problem is, already the current X5 looks a lot like the previous mid 2000s model, and recycling the same design for yet another generation won't help to make it look fresh. Adding some "giant X3" flavor via detailing isn't helping the whole thing either. I'd rather have seen some of the design freshness shown in the X2 which I find exceedingly attractive. These look NOTHING like the typical BMW taillights we've seen for decades, with a larger outer portion and a smaller portion on the hatch to create that standard L shape. Dislike...this looks wayyy to generic, and HUGE. 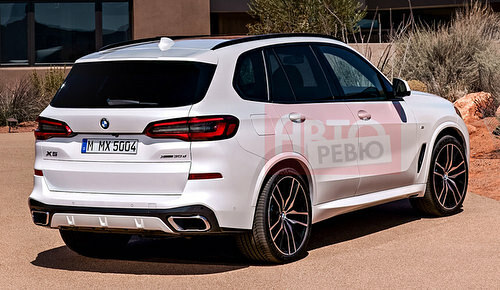 These look NOTHING like the typical BMW taillights we've seen for decades, with a larger outer portion and a smaller portion on the hatch to create that standard L shape. I did notice this indeed, and I kind o liked the L shaped BMW rear lights (after all they have been around since the 1986 7 series), these just look like they came form a random Hyundai, Kia or Toyota, or any other design.